The Aritco 7000 platform lift, is designed to fit into any environment, complimenting the design of your project. With 8 different platform sizes available, it is the most versatile platform lift, adaptable to meet your requirements whatever the application. 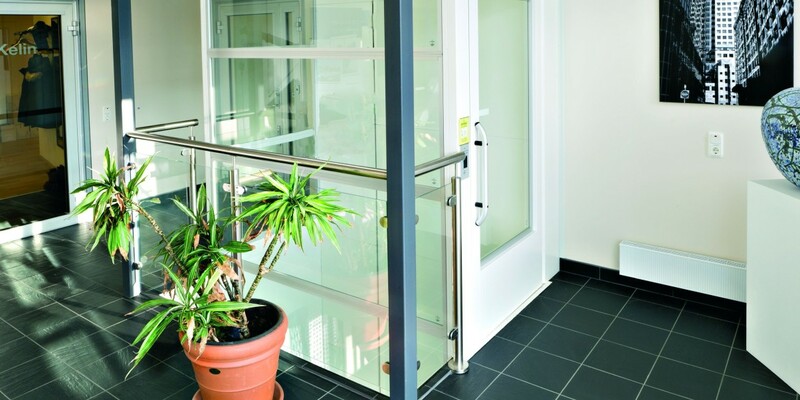 Ideal in both internal and external environments, the 7000 commercial platform lift offers security and minimal disruption once it is installed. We refer to this model of platform lift as a commercial lift, as it is ideal in schools, office blocks and retail shops, due to it’s minimal space and disruption. Our patented screw and nut drive system offers a safe, quiet and environmentally friendly solution. Completely self contained, the 7000, eliminates the need for any separate machine room or pump box housing. This makes it incredibly versatile and ideal for smaller places or restricted buildings, allowing access to all floors of the building. With only minimal construction work required, a typical installation takes just 2 days with expert engineers. If you’re considering improving you access within your commercial building or school, why not consider the 7000 platform model, contact us today for more information and pricing guides. The platform lifts are ideal for either a domestic or commercial environment, with their smooth installs and minimal space consumed once the lift is installed, it makes them a very popular choice in all situations where mobility within a building needs to be improved. Speak to one of our experts today, about which lift would best suit your environment. For more information, download our pdf(s) on the Aritco 7000 below.